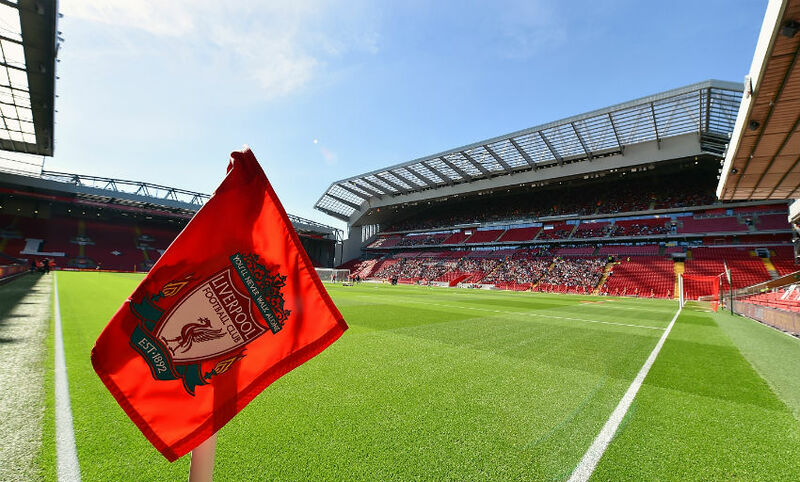 An almost never-ending catalogue of magnificent and vital goals, countless Man of the Match performances, a Merseyside derby hat-trick - the list goes on as to why the legendary former club captain will always be associated with Liverpool’s home. Gerrard, of course, left the Reds to join LA Galaxy in the summer of 2015. But while the world-renowned midfielder has been playing in Major League Soccer and enjoying life in California, his namesake Steven Gerard has been hard at work in L4. 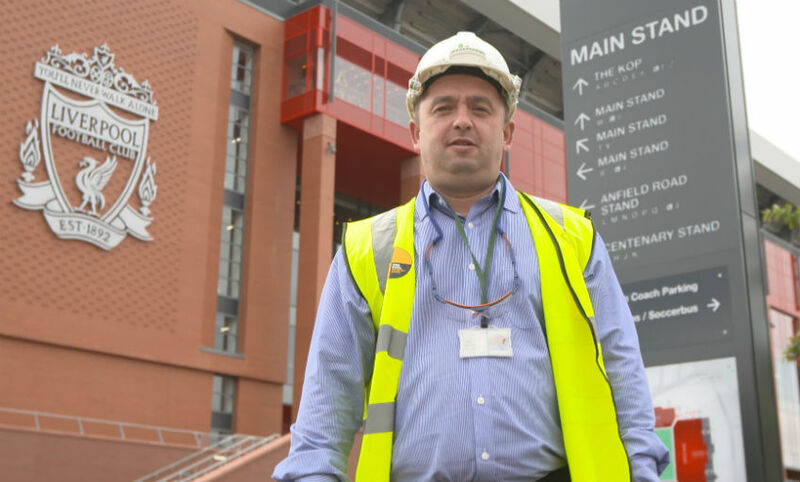 Gerard is a project manager for Carillion, the contractor enlisted by the club to redevelop Anfield’s Main Stand, and has overseen the task of expanding the ground. 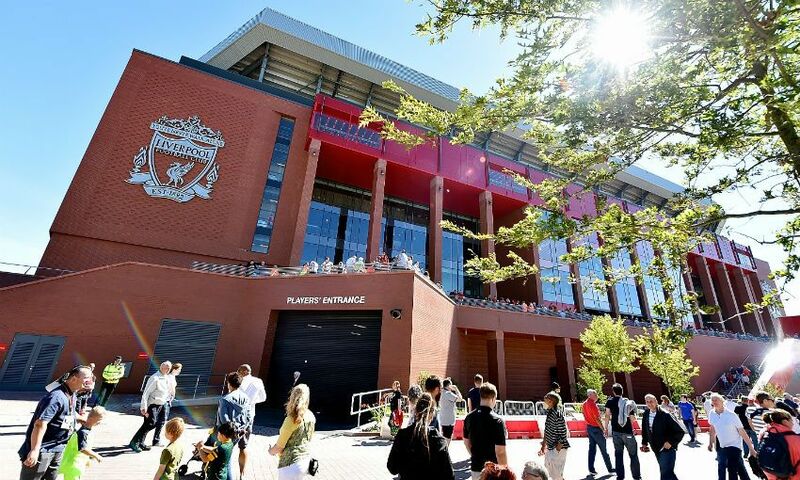 Some 20 months after Gerard and his team began construction work, the new and expanded stadium will host Premier League football for the first time on Saturday when Liverpool take on Leicester City. In a fascinating interview for LFCTV’s special 'This Is Anfield: The Documentary' show, Liverpool season ticket holder Gerard reveals all about his history as an Academy prospect, his pride at working on the Main Stand and, of course, what it’s like to share a name with a fellow Scouser who also happens to be one of the club’s all-time greats. So what’s it been like, working at Anfield with your name? It’s been the same ever since the skipper became famous! I get questions every 10 minutes from clients to members of the public on the street. It’s something I’ve got used to over the years. I’ve learned to live with it and I’m sure it’s something he's learned to live with as well! I was schooled in Anfield, I went to Priory Comprehensive. Through my formative years, from the age of eight to 15, I played for Liverpool Schoolboys and was also a member of Liverpool’s Academy, or the Centre of Excellence as it was called back then, with Hughie McAuley at Melwood. Some great people came to train us: Kenny Dalglish, Barnesy [John Barnes] and Craig Johnston too. What was going on in your mind on your first day on site? What’s the atmosphere been like on site since work began in January 2015? How proud are you of what you and your team have achieved? It’s probably the best thing I’ve ever done. In terms of my career, I’ve done some great things and worked with some great people, but this takes it into another stratosphere. Being at your own club and doing something for your own family - you’ll never do something like this again. What I’ve been working towards is this day, this vision, in my mind. I just want to sit in the Centenary, where I sit with my dad, on the first game of the season and look at the other side and say: ‘Look at that! Look at what we’ve built!’. I just hope I’ve done my family proud. My kids will always be able to say ‘My dad had a hand in that’. It’s been great to be anywhere near the club and to do anything for them. There’s so much history here. You’re born with it and because I was born in the '70s, there is nothing that surpasses what happened here in the '70s and '80s and hopefully we’ll keep going. To grow up with the mystique of Shankly, the greats that were here, like Kenny. The nights and wins we’ve had here and away and abroad, cup finals galore, you can’t describe what that means to people. It’s amazing. 'This Is Anfield: The Documentary' will premiere at 8pm BST on Sunday September 18 on LFCTV - and will be available to LFCTV GO subscribers on the same evening.